● Promotional coupon codes occasionally offer discounts as high as 25% off any course available sitewide. ● The CE Shop offers refunds for courses less than 50% complete within the first 30 days from the original date of purchase. Visit the FAQ for additional information. ● The company also offers bulk discount pricing for organizations with multiple license holders seeking continuing education credits. 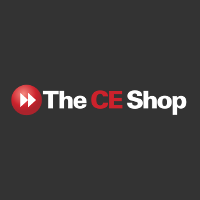 The CE Shop is a company that provides clients with online courses in pre-licensing, post-licensing, and continued education for their real estate career. This company offers different courses and training programs tailor made to equip clients with the skills and knowledge they need to acquire a real estate agent license in different areas of the United States. The CE Shop also offers courses in order to assist clients in getting licensed in multiple states. Interested individuals can start the process by choosing their location, and the specific goals they want to achieve; either license acquisition or continued education. For most up to date offers check out The CE Shop on Facebook and Twitter or contact The CE Shop Support for any questions.